#22, Muthukumaran Nagar, St. Joseph's Town, Poonamallee ,chennai 600056. Admission to St. Joseph’s Mat. Hr. Sec. 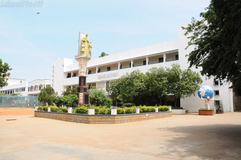 School is restricted by certain policies of the management and by the conditions of age, ability and conduct of the candidate.\n Hence, applicants for admission may be given an oral / written test at the time of admission.\n Students coming from unrecognized institution will not be admitted.\n Procedure for LKG, includes a personal meeting with the child and parents to verify the certificates and to brief the rules and regulations of the school.\n An entrance test will be conducted in Tamil, English and Maths for the students seeking admission for UKG to IX standard and those who are selected on merit alone will be allowed to join the institution.\n Application for admission should be made on the prescribed form by parents or guardian who will be responsible to the head of the school for the pupil’s conduct, punctuality, regular attendance, progress in school and payment of fees.\n The Principal reserves the right of refusing admission to a pupil without any reason in it.\n He also reserves the right of refusing continued studies of any pupil whose conduct is not satisfactory. 1. BIRTH CERTIFICATE\n 2. Community Certificate\n 3. Original Copy Of Transfer Certificate Should Be Produced At The Time Of Admission. Cricket, Table Tennis, Volley Ball, Basket Ball, Football, Boxing, Athletics And Indoor Games. 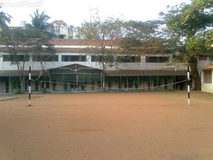 Best schools in Medavakkam, Best schools in Adyar, Best schools in Injambakkam, Best schools in Vandalur, Best schools in Nungambakkam, Best schools in Thiruvanmiyur, Best schools in Teynampet, Best schools in Guduvancheri, Best schools in Sembakkam, Best schools in Thiruverkadu, Best schools in Jawahar Nagar, Best schools in Ramapuram, Best schools in Gopalapuram, Best schools in Kishkinta Rd, Best schools in Selaiyur. Best schools in Chennai, Best schools in Poonamallee, Best State Board schools in Chennai, Best State Board schools in Poonamallee, Best Coed schools in Chennai, Best Coed schools in Poonamallee, Best English medium schools in Chennai, Best English medium schools in Poonamallee.